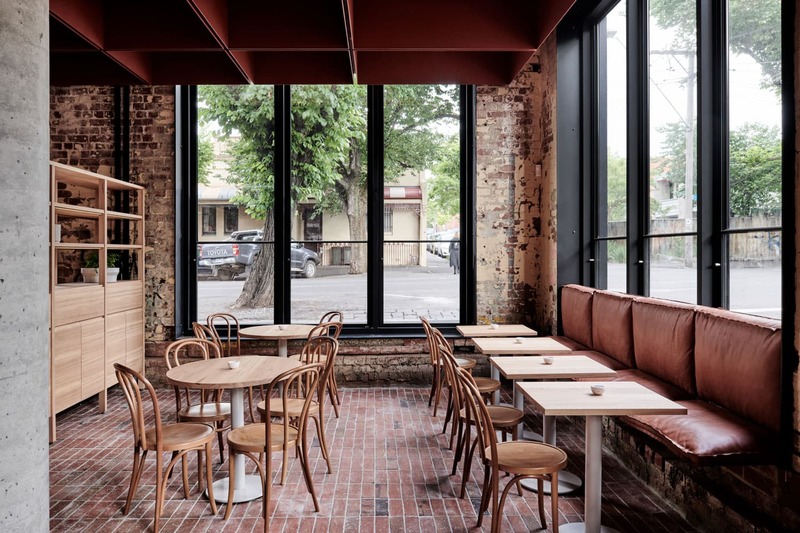 The robust materiality of the 190-square-metre eatery was informed by the site’s existing facade and the surrounding environment. 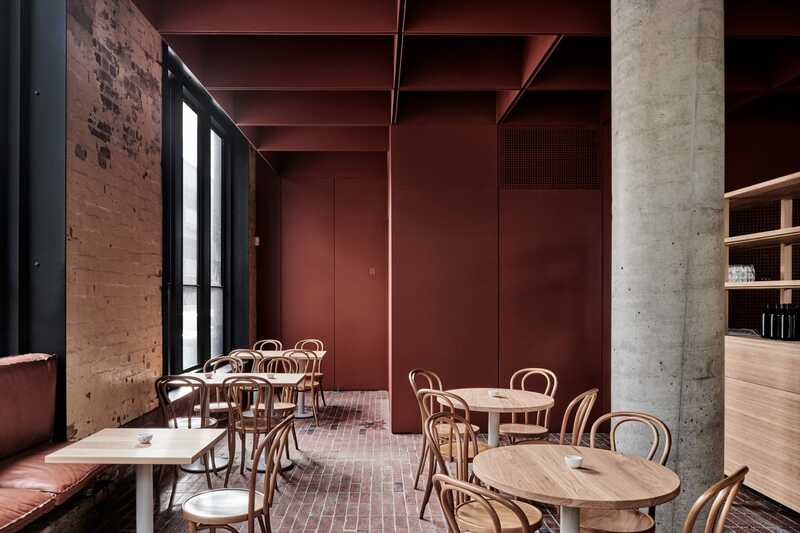 As a result, the interior reflects Fitzroy’s brutalist industrial heritage through the use of primed steel wall cladding and ceiling panels. 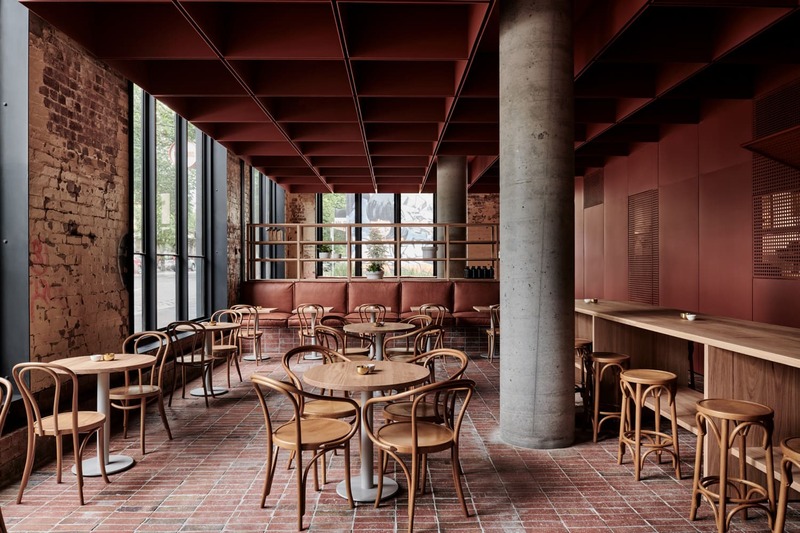 The space sits encased within the original heritage facade made of red pressed brickwork and old stucco. 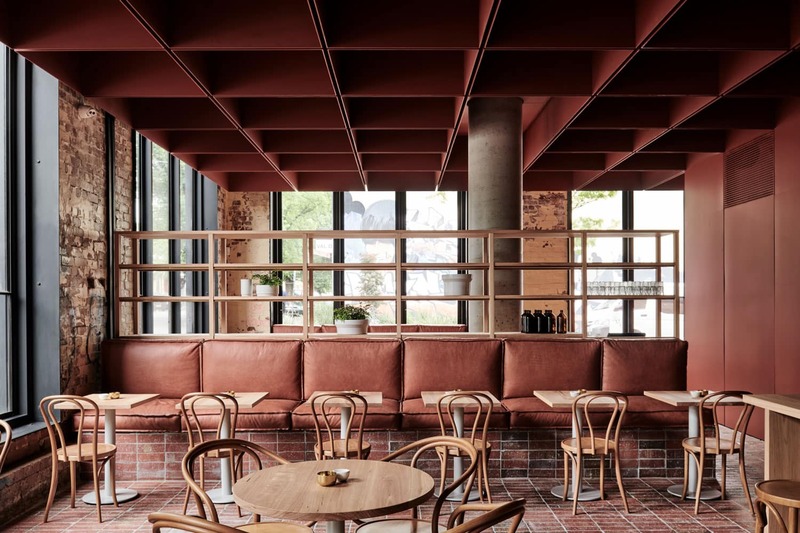 An adjacent laneway lined with brick pavers runs underfoot, whilst concrete columns rise up to a ceiling grid primed in red oxide. 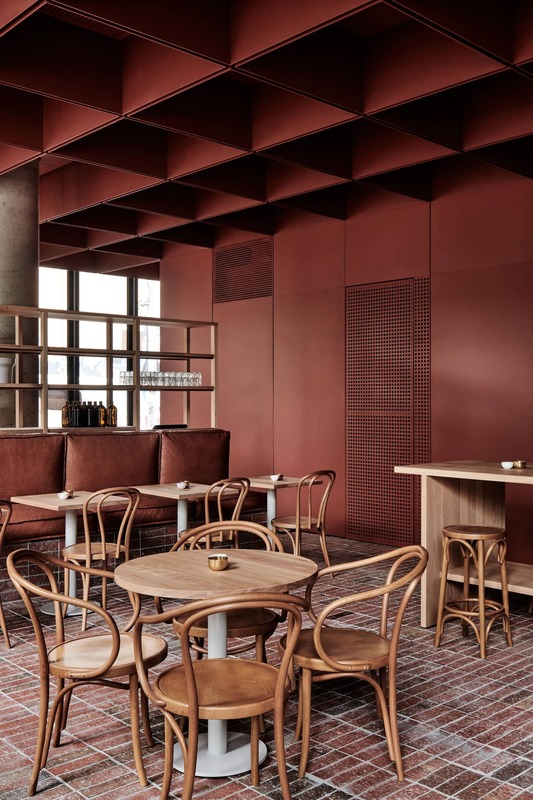 The ceiling grid compartmentalises the space creating pockets of light and shade, volume and intimacy. 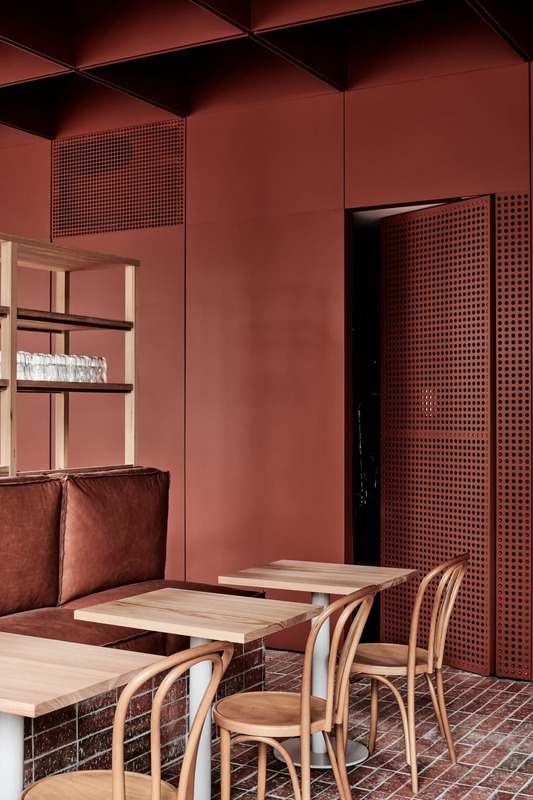 Steel cladding to the kitchen reads as an extrusion from the ceiling grid. 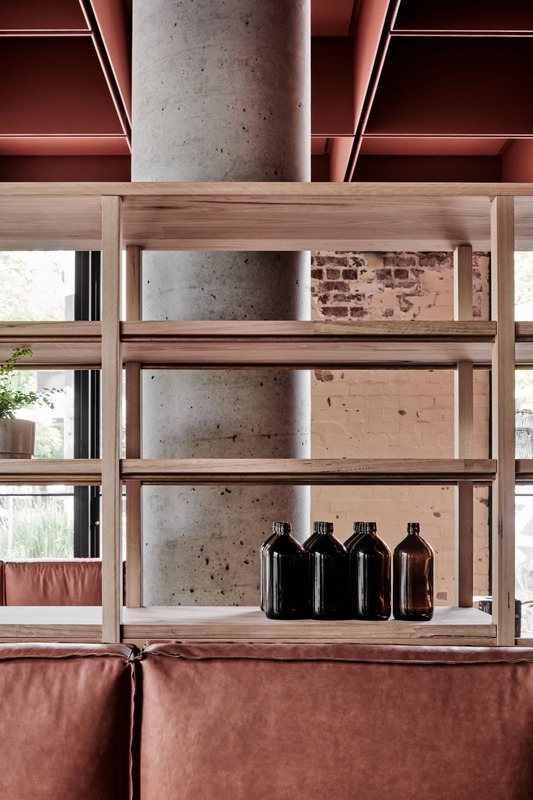 Timber furniture echoes back to the sites past and divides the space through skeletal shelving units. Read on for more insight into this project straight from Jean-Paul Ghougassian himself. It’s really nothing about what we did, but rather the building and its story. 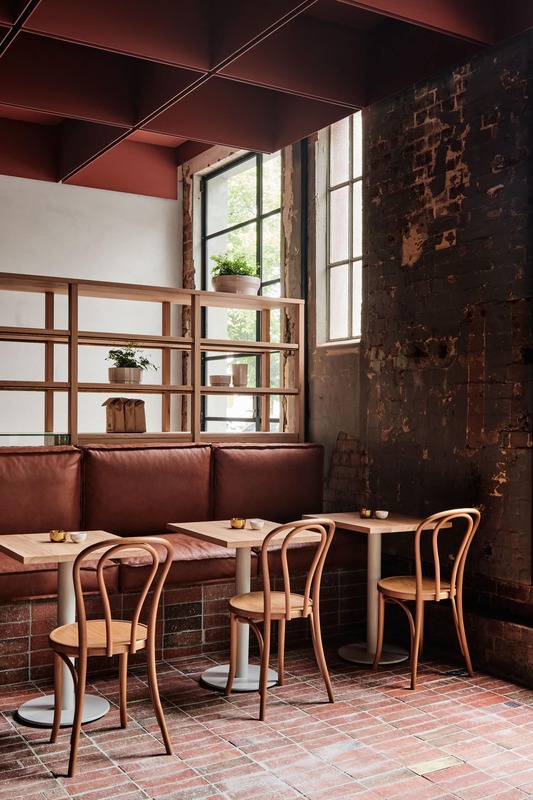 To think about the years it spent as a workshop, craftsman young and old doing something that today is a rarity, to then be the showroom such an iconic brand ‘Thonet’ who’s furniture is synonymous with the Melbourne’s cafe culture. When you step foot inside the space you can feel the building’s heritage. + What was the most challenging aspect of this project? Most definitely designing and co-ordinating the ceiling, at first the idea was seemingly simple, but we should’ve known better. It’s really hard to answer this question critically. Mistakes in mind are the only way we grow as designers. So, no, I wouldn’t have done anything differently.